As a popular alternative to dental bridges and removable dentures, dental implants effectively treat missing or extracted teeth. 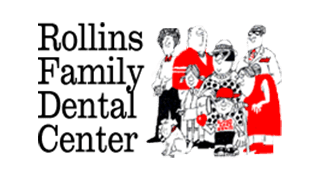 Visit Dr. Dave Canty at Rollins Family Dental Center in Round Lake Beach, Illinois, for a personalized consultation about these realistic and permanent replacement teeth. Book an appointment online or call to learn more about how they may be well worth the extra cost to you. Dental implants are natural-looking artificial teeth anchored to your jaw. You can get one, several, or a whole set of fabricated teeth, but unlike traditional dentures, they permanently bond to your bone. Unlike dental bridges, your surrounding teeth don’t require treatment, so there’s less tissue loss. These artificial teeth are typically made of porcelain tops and titanium bottoms. Porcelain is great for mirroring the sheen of natural enamel and resists stains well, while titanium makes for an excellent root. The dentists at Rollins Family Dental Center pick the color of each implant crown carefully to match your real teeth as closely as possible. How Do Dental Implant Treatments Work? First, the dentists at Rollins Family Dental Center confirm whether your jaw, teeth, and gums are strong and healthy enough to receive a dental implant. Next, they administer local anesthesia to numb the treatment area, so you’re as comfortable as possible during the procedure. Dental implants are a three-step service done over a few visits. Your dentist at Rollins Family Dental Center surgically implants a titanium post into your socket, letting your jaw bone grow around it between a month and a half to three months. On your follow-up appointment, your dentist attaches a titanium abutment, takes a bite impression to shape your porcelain crown perfectly, and then bonds it on. Chances are you can tolerate receiving a dental implant. Many patients feel it’s more comfortable than a tooth extraction. To reduce any discomfort as much as possible, the dentists at Rollins Family Dental Center apply local anesthesia before starting the procedure. One of the biggest advantages of dental implants is that they typically last longer than bridges. With proper oral hygiene and care in avoiding trauma, your dental implants could easily last many years to come. To learn if dental implants are right for you, call Rollins Family Dental Center or schedule an appointment online.